Job boards are a great place to start. A quick Google search will reveal hundreds of public forums through which employers advertise positions. Often seekers can sort by industry, salary or level of experience. Many websites also offer email alerts for new jobs matching your criteria. 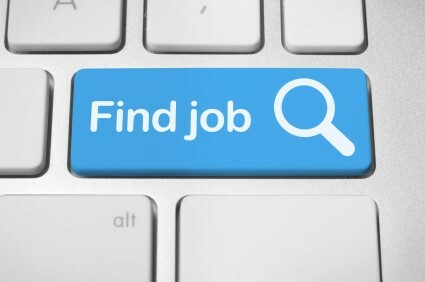 You can search for jobs in universities, studentships and more at jobs.ac.uk. You will also find specialist websites focusing on specific industry types (e.g. efinancialcareers.co.uk). 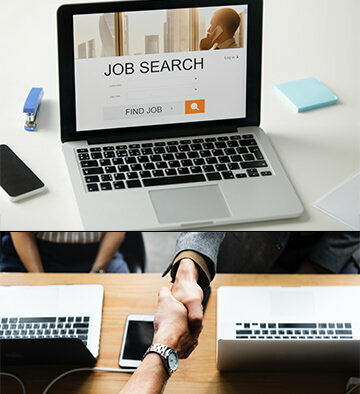 Again, Google is a great place to start, and at Apply4u.co.uk you can find it ‘all under one roof’, from jobs adverts to companies profiles, reviews and job search / recruitment services. If it’s a job you want, there are hundreds of jobs we got! …. Let recruiters find you by uploading your CV to one of the many online directories. Often job seekers can specify criteria (targeted roles, salary, and distance) which will make it easier for the right recruiter to find them. Upload your CV Now! Let somebody else do the leg work for you. Consultants often specialise within a particular sector, building up a wealth of contacts and knowledge (particularly useful for job seekers with considerable experience within a certain specific sector). One word of warning however; recruitment consultants are often motivated by fees alone (not a candidates job satisfaction) so be sure to do your research on the companies that you are introduced to. That’s why Apply4u.co.uk is unique. Not only that we are the middle ground between you and the company, but we are interested in the happiness of both parties. Also, here’s a tip: we do the leg work for you but you are still in control and Employers don’t pay a placement fee for you! Family, friends, friends of friends – they all count! Having an introduction to an individual working within your target company can be a great head start (however junior that person may be). Of course, industry contacts aren’t a luxury enjoyed by everyone but if you have them, use them! Just because a company isn’t actively hiring doesn’t mean that they wouldn’t consider the right person – cold calling shows courage and persistence, traits that most employers look for. Again, Google is a great place to start and be sure to do your research on every company that you call or you can appeal to one of our Apply4U specialists to do that for you. Job search is increasingly moving online but many local companies, such as restaurants, shops and bars, will advertise locally. Great places to look are job centres, public notice boards, local newspapers and magazines. Finding the perfect job is not easy, it could take one week, it could take six months. The key is to stay focused and to never give up searching. New jobs come onto the market every day, by adopting a multi-pronged approach; one of those will be yours!